Having internet access is something that many of us take for granted. It’s such an integral part of our daily lives that when our connection isn’t working properly, it can be a huge headache. And having to deal with the service provider is almost as annoying. Sometimes, if you want something done right, you have to do it yourself. While this may seem daunting to some people, it can actually be quite easy if you have the right tools. 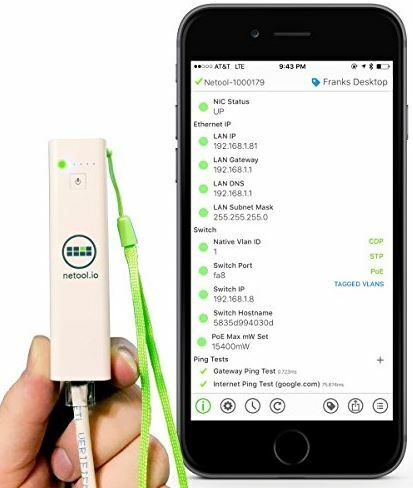 The Netool Pocket Sized Network Tester is a simple, all in one device that allows you to diagnose all aspects of your home or business network from the palm of your hand. But what exactly can it do? And is this something that the average consumer should have in their home? We went hands-on to find out. 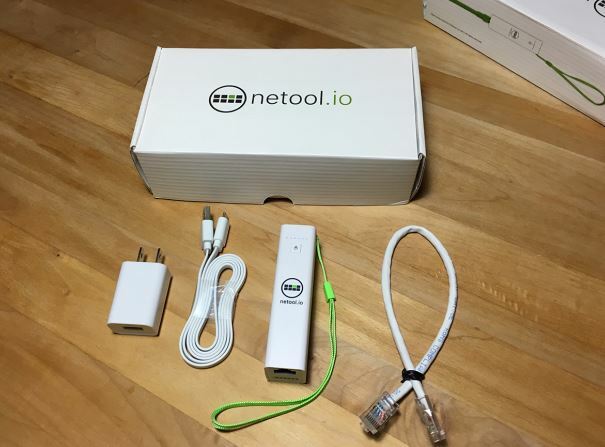 The Netool is a handheld device that serves as an information gateway for everything network. You install the app on your phone, and plug it directly into an Ethernet port. By wiring it into the network, you’re able to access all of the nuts and bolts that would typically be inaccessible over Wi-Fi. It runs a custom operating system that’s designed to ping and explore the network, making information available that would typically take some digging. It’s designed primarily for use in large corporate networks, but it’s performance means that it is perfectly suited for smaller jobs as well. The Netool is very simple in design. It’s shaped like a pack of gum, with nothing more than a single button and some LEDs on the front. The RJ45 port is located on the bottom, allowing you to plug in any standard Ethernet cable. There are a number of LED lights on the top, that give you at-a-glance information about whether the Netool is connected or not. But other than turning the Netool on or off, you’re not going to be spending a lot of time working with the tool directly. Instead, everything is done through your phone. Before we get too in-depth, we’ll take you through a standard use or the Netool. The first thing you do is plug the Netool in, and turn it on. You then open up the App on your phone. After a few moments, it will connect directly to the Netool through an encrypted WiFi network. This network is completely private, and the connection process is entirely automated. You’ll then see a list of items, each of which has a light beside it. The first thing you’ll see is the “NIC Status” light at the top go green, showing that the device is connected to an active network. All of the fields below it will then be populated with data in 15 to 20 seconds. The first thing you’ll see is the basic networking information, consisting of the IP address, gateway, DNS server(s), and the subnet mask. This is the basic information required for default network troubleshooting. Below is where things start to get interesting. If you’re on a medium sized network, you’ve likely got a network of switches and routers connected to each other. 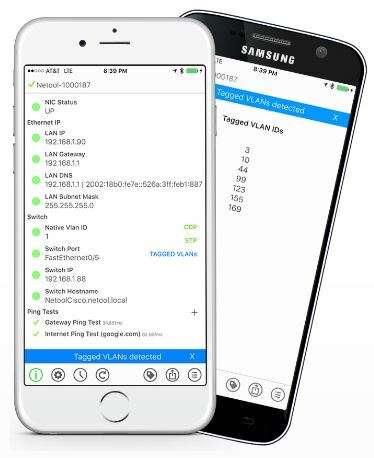 The Netool can tell you if the network is a part of a Vlan, which switch it’s connected to, the address of the switch, and the port you’re on. Underneath that you’ll have two basic ping tests. It will check of the gateway is responding, then if it can ping Google.com. What does this all mean? This screen tells if you if the internet is working, and shows you all of the devices that stand between you and the internet. If there is a problem, it will almost certainly show up on this list. What makes the Netool so powerful is its custom Linux based operating system and companion app. The operating system allows you to find out virtually everything there is to know about a network, and the app makes it easy to put this information to good use. Even when there are complex problems to solve, you can put multiple Netools to use and share data between them. You can manually tag settings saving them for later. It even allows settings to be saved and sent to coworkers. One of our favorite features of the app is the ability to control Netools remotely. Let’s say that you often find yourself going to reboot the router. You can just leave a Netool plugged into the router, and send messages to it allowing you to ping websites or local hosts, or pull configuration settings for the network. Large companies can save tons of time just by having a few of these tools on hand. If you’re regularly working with a complex network, you can save information to the discovery database, allowing you to pull information up as needed. One of the key features of the Netool is that is can analyze packets to give you more information about what is going on inside your network. 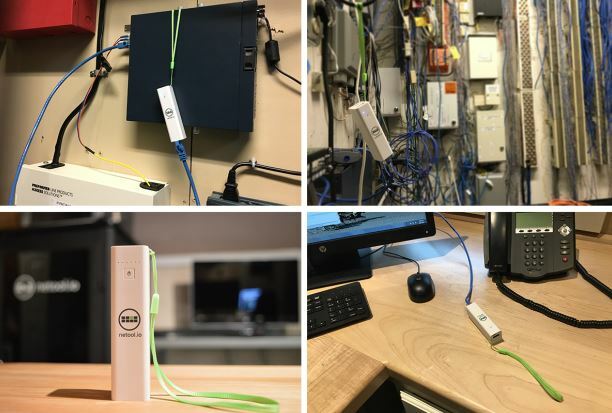 You can see if a physical port is part of a tagged VLAN, helping you to make sure that secure networks are properly configured. You’ll be able to see where any bridges are, helping to diagnose a network outage in any specific area. For high bandwidth applications, the Netool can detect bridged or paired ports through its support for the LACP protocol. Finally, it can detect QOS services to see if a given port is being throttled or controlled in any way. The Netool is designed to be carried with you, and used in person. But for those looking to create a remote testing point, the Netool.cloud service can be used. This is essentially a private VPN between the Netool and your cellphone. Wherever you are in the world, you can perform network tests. This is an essential feature if you’re going to be offering 24/7 support to a client and won’t be able to get on site all the time. Although you could achieve something similar with a VPN, that poses a huge security risk. It is not possible to perform any intrusive or malicious actions through a Netool, as it is forced to operate within the parameters of the local networks security system. This makes the Netool a safer and ethical alternative for professionals who are responsible for the security of their client’s network. What tests can be done? Most connectivity testing is done through Ping. By default, you’re able to ping Google.com or the current gateway. But you’ll also be able to ping any local addresses that you’ve saved on the Netool app. This allows you to verify connectivity with local resources, and determine if there are any latency or stability issues with the network. The Netool is a unique product that quickly allows networks to be mapped and verified. In some circumstances, using it may be against the network owner’s policies. This is not something that you can take to work to troubleshoot issues with your computer. This is something that should be used only by people who have permission from the network owner. In the future, we wouldn’t mind seeing a simpler version of the Netool which is designed to help end users get the information needed to assist tech support with their job. 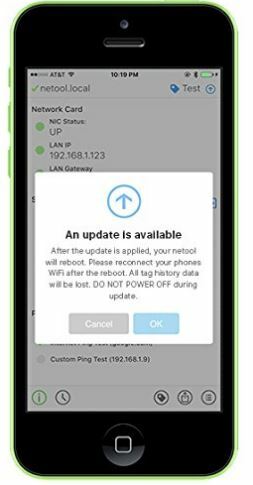 The Netool is an incredibly powerful tool that provides technicians with an all-in-one way to troubleshoot network issues. Its biggest asset is the software. Because you can save data for later use, using the Netool is essentially an incredibly comprehensive database that can make your job a lot easier. The primary criticism of the Netool is that it doesn’t do anything that you couldn’t do yourself with a terminal. This may be true, and we would not recommend the Netool for somebody who doesn’t often need to perform network diagnostics. But if this is a regular part of your duties, the Netool can take virtually all of the grunt labor out of your job, making you much more efficient. The level of depth and detail offered by the Netool is not necessary for the average consumer. If your network is complicated enough that you are having these kinds of issues, you’d be better off to replaces your outdated hardware with something a little simpler. We’ve found that Mesh networking equipment addresses the problems caused by wireless bridges and multi-network extender systems. We took a look at the best mesh networking systems to help you find the one that’s right for your home.